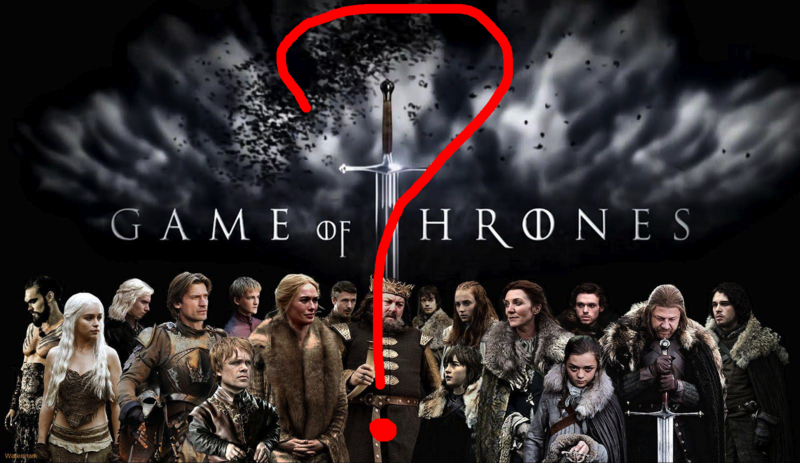 Who needs to watch Game of Thrones, when you have social media? I am one of those rare rare people who walk the earth who have never read nor watched Game of Thrones. I only recently finished my university studies, and I did them part-time over 4 years around full-time work and travelling the world, so there wasn’t much TV time for shows like said Game of Thrones. (I did manage to re-watch Friends, Veronica Mars and Gilmore Girls three times in London, but I was a nanny and I watched them during the baby’s nap time in the day). Game of Thrones is, was on my to watch list, until everyone who watches it regurgitated the whole series to my newsfeed on Facebook. Not much of a point now really is there? I’ve never even watched an ad for it properly (we don’t have SOHO at home, so we have NOTHING GOOD TO EVER WATCH THANK YOU SKY), yet I know pretty much every gross detail of THE RED WEDDING. I have friends who named their cat Arya (I know it’s after a Game of Thrones character but I can’t tell you who, I ASSUME it’s a medieval cat?) and I interviewed and met ‘the hot guy form Game of Thrones’ last year when I was helping with the PR for the Armageddon festival here in Auckland (he had curly hair, sorry I don’t know who he is) but that is the extent of my Game of Thrones action/knowledge. To be honest, at Armageddon I was more excited to see the Harry Potter stuff than anything else. But I also know, that even after an amazing ep of Homeland, I would never be all like – BLAH BLAHI CAN’T BELIEVE HE PULLED THE TRIGGER AND MURDERED THE PRESIDENT THEN TOOK ALL HIS SKIN OFF AND GOT INSDIE IT AND PRETENDED TO BE HIM. (You never know!) I would say something cryptic like ‘I CAN’T BELIEVE THAT JUST HAPPENED ON HOMELAND’ and the people in my news feed who also watch it (who haven’t blocked me) would be all like ‘OH I KNOOOOOOW RIIIIIIGHT’, and that would be that. Now though, without even watching it, I have a pretty general idea of Game of Thrones, who people are, and who they sleep with/marry/kill – just minus the visual, because I can’t actually imagine their faces. I bet I would SPIN OUT if I went and Googled what these people look like. I’m not sure when ‘the rules’ changed, but I must have missed the meme (or memo) that said it’s OK to give away whole important bits of TV shows in a status update? I have a girlfriend (not that type of girlfriend) who last week was all like “I will KILL the person who ruins this episode for me, I missed it last night because I was working late and have to wait to watch it tonight with my fiancé because he is a big fan too”. Luckily I haven’t heard of my good friend being arrested, so I assume she must have watched it without it having been spoilt. I guess it doesn’t REALLY matter to me if a show I have never watched before is ruined, but for her, she clearly would have ended up in jail. That’s pretty serious. What are your thoughts on people who give away too much on Facebook, and other social platforms about TV shows? Do you think there is a time limit – as in, after three days of the show airing you should be able to discuss publicly what has happened, or should the people who have’t seen it just not go on social media until they have seen it, knowing what could happen otherwise? Alternatively, have you ever over shared and ruined it for someone? NB: This point can be made for all sports games and episodes of X factor too (which I also don’t watch).